The plush lamb and Irish baby blanket is two gifts in one. 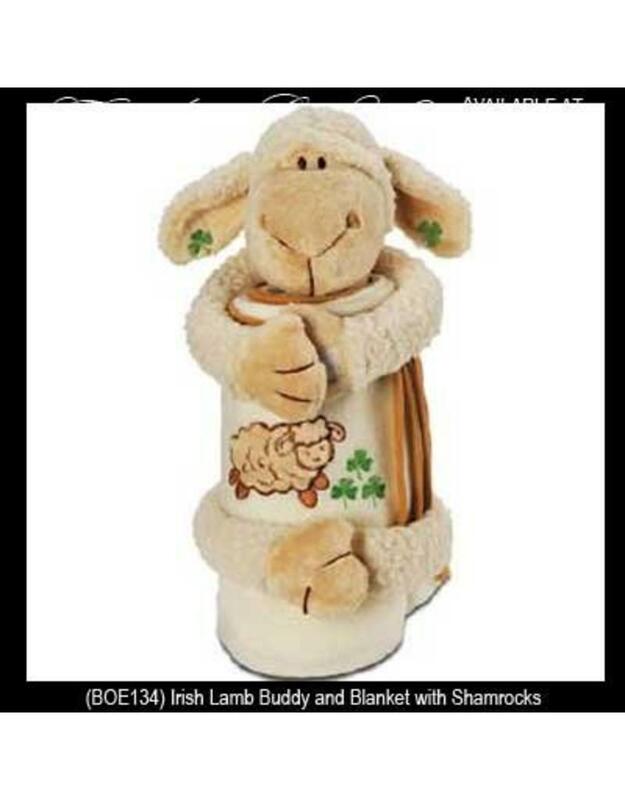 This Irish baby gift is a stuffed lamb and fleece blanket two piece set: the blanket when rolled up is held by the lamb doll. 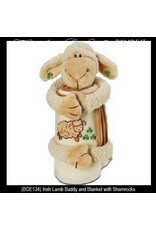 The soft lamb features embroidered shamrocks and measures 10" tall (sitting) and is 100% polyester. The fleece Irish baby blanket features embroidered shamrocks and a lamb along with a hemmed border. The shamrock baby blanket is 100% soft polyester and measures 28” x 38”.